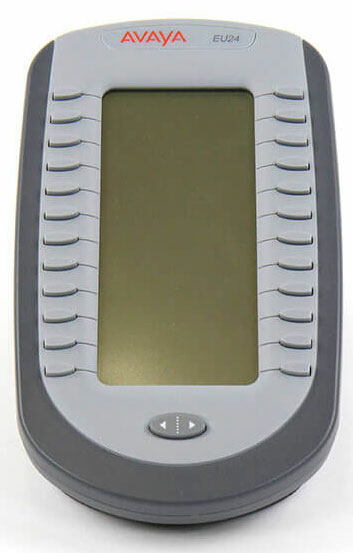 The Avaya EU24BL is a backlit expansion module that provides 24 additional programmable feature buttons for your Avaya IP or digital telephone. Power Supply - Requires an Avaya 1151 series power supply (sold separately; see drop down option above). For IP phones, use of PoE is supported if the PoE is Class 3. NOTE: If you are adding an expansion module to the Avaya 2420, 5420, 4620, 4620SW, 5620SW, or 4625SW and want a non-backlit expansion module, then please see Avaya EU24 (Non-Backlit).